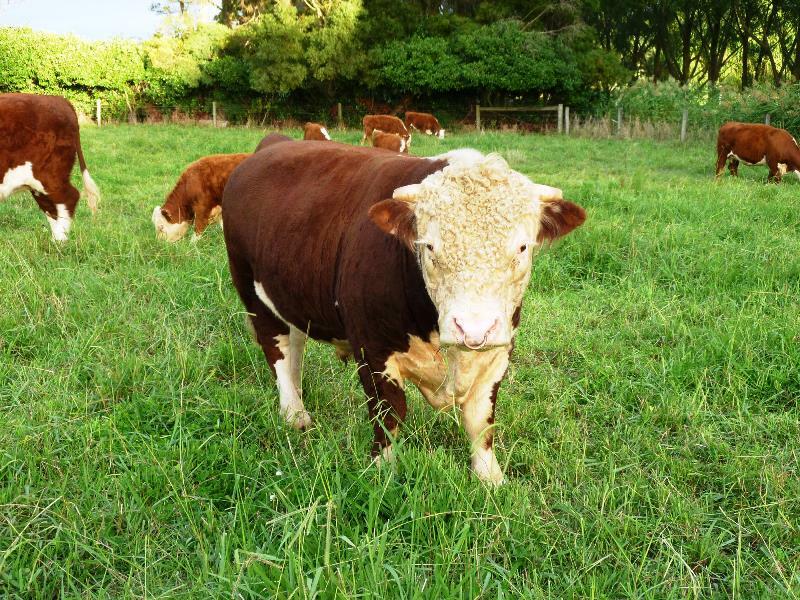 Yearling miniature Hereford bull, Earo. Nebraska number 1 breeding bull at Shady Creek Miniature Herefords. 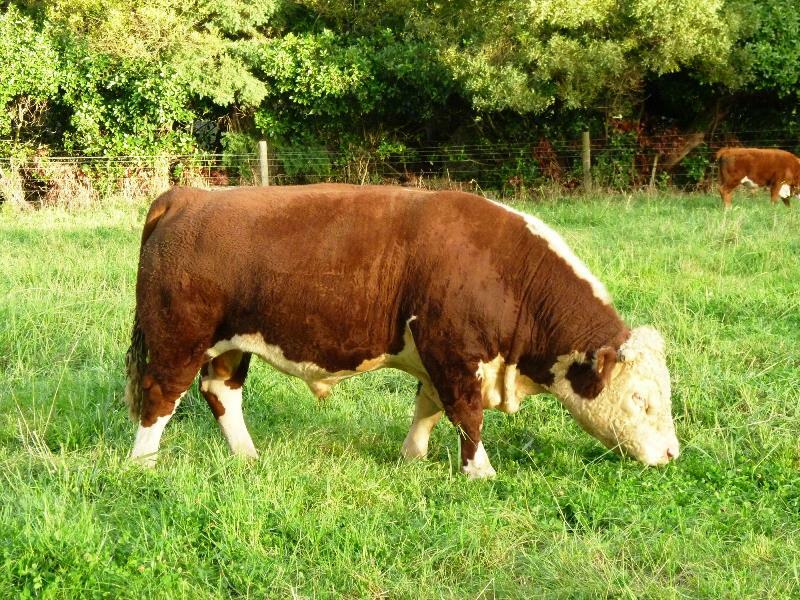 Bruno, number 2 breeding bull at Shady Creek Miniature Herefords. Charlie Bull with little heifer, Freya.